Article 50 has been triggered today--there's no going back. Whether you voted to remain or leave, it is time to accept Brexit and look at the opportunities that it will present. UK assets have proved to be resilient since the referendum. London is still a dominant city for the super wealthy and will remain to be so. The number of HNWIs with more than £30M in assets is expected to increase by 30% over the next decade. The young millionaires see the uncertainty Brexit is giving investors as an opportunity to increase their personal wealth. Brexit will almost certainly not diminish the ability of London to lure wealth. Spear's and WealthInsight recently reported that London currently has more HNWIs than any other city in the world. London’s world class education and quality of life will continue to draw in foreign HNWIs to migrate to the UK. The UK's judicial system is already being used and will continue to be used by foreign billionaires to settle disputes in their home countries. London’s financial sector will maintain its place as a global financial capital. HNWIs will benefit from lighter regulation in finances as the UK will no longer have to follow regulations imposed by Brussels. A weaker pound will make foreign investment more appealing for foreign HNWIs. 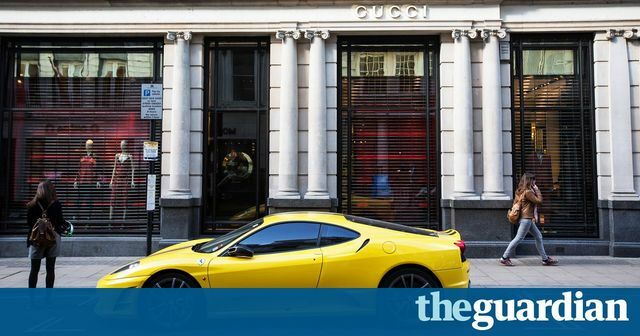 London would remain “the city of choice” for the super-rich from Asia and the Middle East despite concerns over Brexit. Brexit & the Sandwich Generation – It's no picnic!